Sinus Pressure and Tooth Pain – How are They Related? More commonly called a sinus infection, sinusitis happens when the nasal passage cavities get inflamed and swollen. Because the sinuses cannot drain, it results in a mucus build-up. This is often caused by the common cold, although allergies may also be a culprit. When the sinuses are blocked, it leads to excessive mucus creating a moist environment which is considered a fertile ground for all kinds of infections. Another symptom that can possibly affect one’s oral health is bad breath that is caused by postnasal drip. In most instances, the reason behind your tooth pain is quite obvious. But like we said, a sinus infection as a culprit should not be discounted, and often you can tell whether it’s the cause or not based on the location of the toothache. 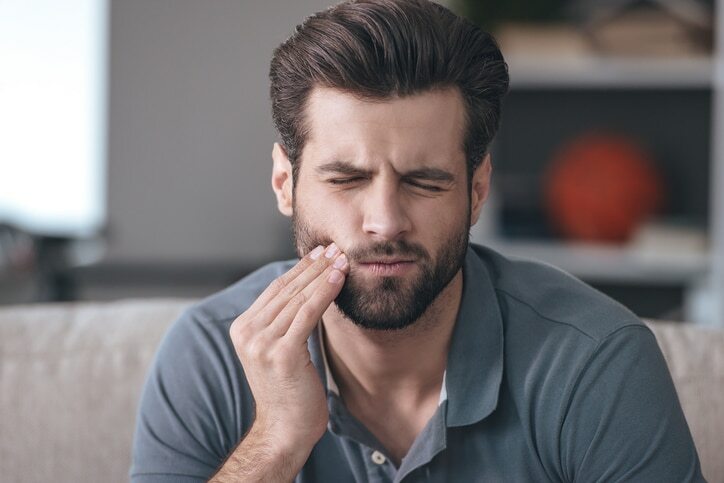 The roots of your upper molars are really close to the sinus cavities, and when the sinuses get infected and all swollen, it is easy to mistake the pain as originating in the teeth. If you believe you have a sinus infection, it’s best to see your doctor about it. While some over-the-counter medications can offer you pain relief, a physician is the best person to ask about the course of treatment that you need. Aside from seeing your doctor who may prescribe you some medicine for pain relief and treatment, you can also try a few home remedies. You can apply a warm compress on your face a few times each day. You can also increase your fluid intake to thin the mucus. You can also inhale steam several times a day and use a humidifier when you’re sleeping. When your sinus infection gets treated, you’ll find that your tooth pain will also be gone. However, you should remember that sinus infection is just one cause of tooth pain and you should always do your best that you avoid all the other types of toothaches as well. To make sure that your teeth and gums are healthy, regularly visit Pickering Square Dental, and we’ll help you take care of your smile! « Are Your Teeth Prepared for Trick or Treat?